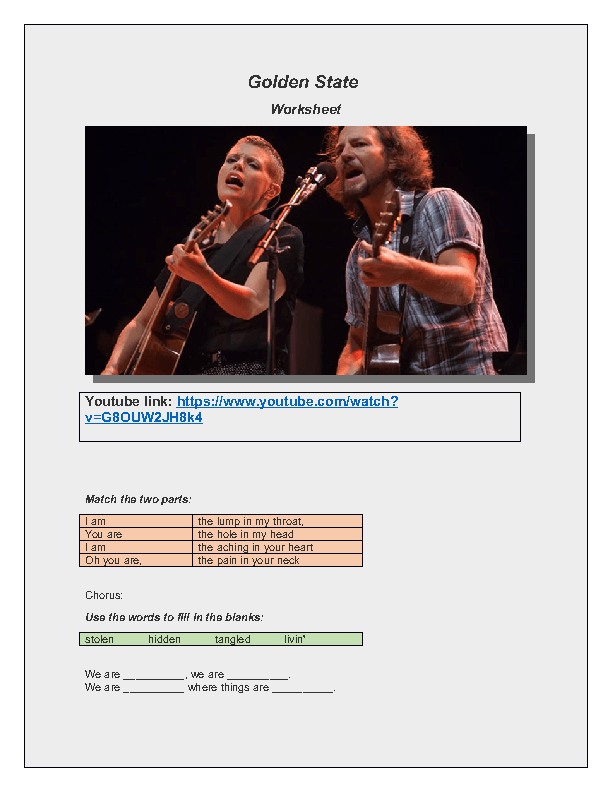 This worksheet is a song performed by Eddie Vedder and Natalie Maines in which you will find vocabulary exercises related to body parts, minimal pair exercises, matching and fill in the blanks. 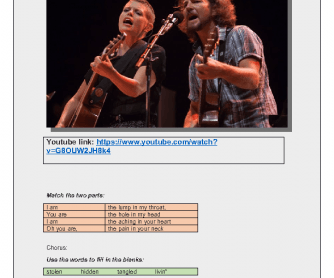 You can even ask your students what the song means to them. Have fun and learn a lot!